Buckle up ladies, the season of entertaining is upon us. But let’s not lose sight of the real meaning behind this time of year. 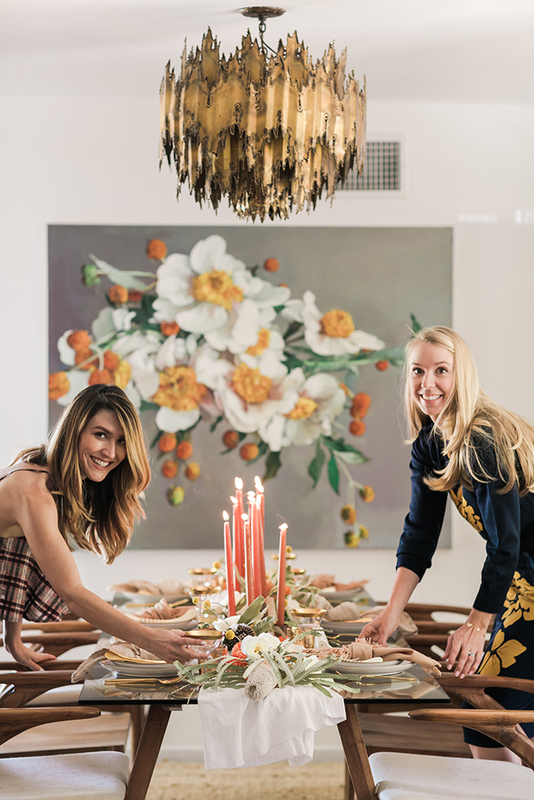 Every November, we love to throw an annual Friendsgiving feast in honor of our favorite support system. 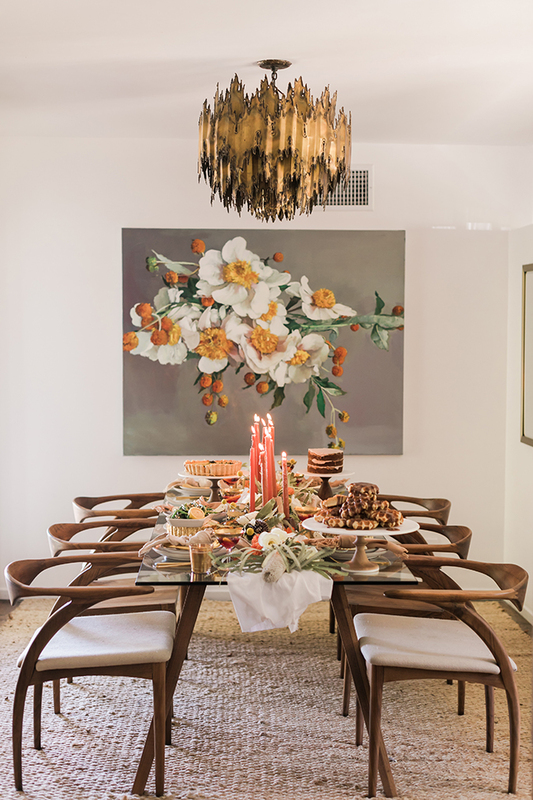 This special annual dinner (or brunch, as you’ll see from this post) is the perfect opportunity to take a moment and digest all that we’re thankful for, including each other. 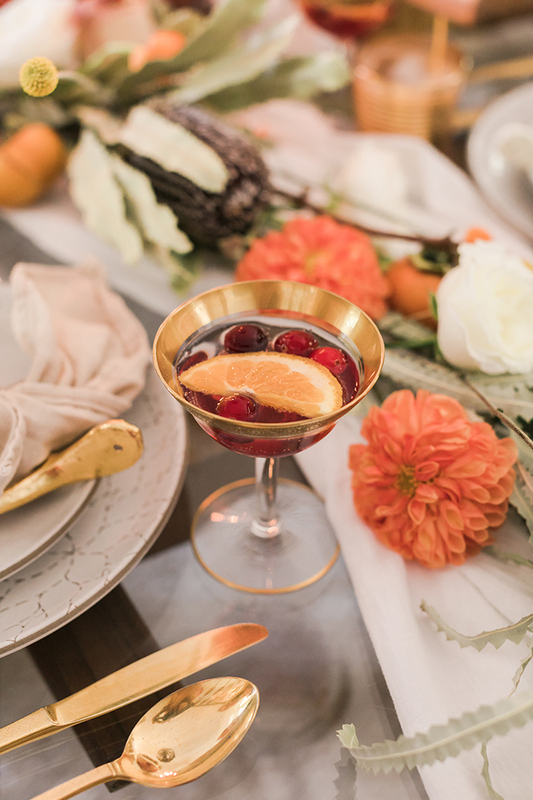 Since we moved the timeslot to earlier in the day with this year’s Friendsgiving brunch, we enlisted our friends Rachel of Bonjour Fête and Royale of But First, Party! to help us execute an event to remember. We’re happy to say that the result is something we’ll be reminiscing for years to come! 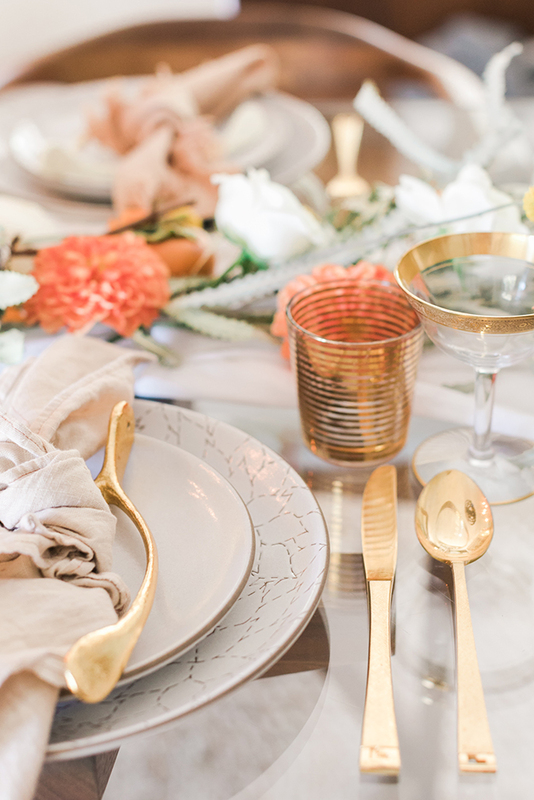 After landing on a brunch menu featuring traditional Thanksgiving ingredients, we wanted to keep the tablescape reflective of the laid-back brunch vibe. Nothing too fussy was the name of the game, so we opted out of place cards and instead used papier-mâché wishbone ornaments to add some extra flair to the place settings. 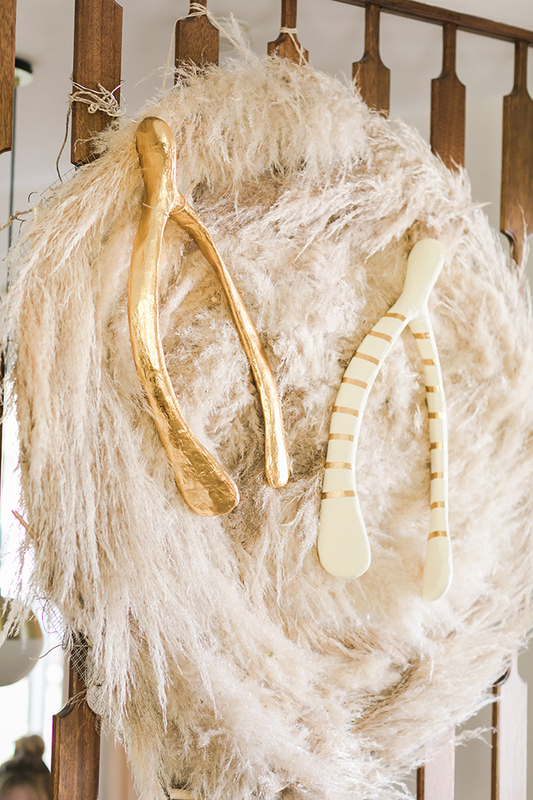 We also referenced the wishbones in a second place—behind the table, two giant wishbones hung in front of the most gorgeous wheat moon created by Petals and Pop Shop. 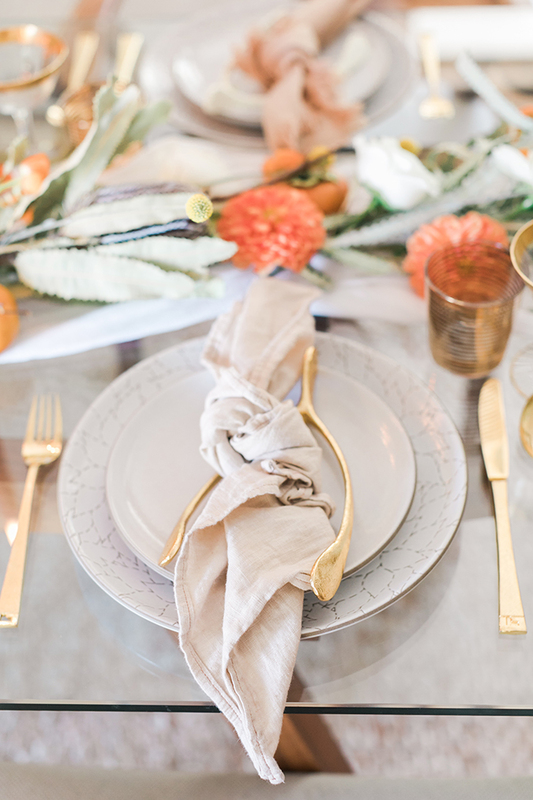 The gold tones of the wishbones also helped inform the glass and flatware sections, which, thanks to Claire, we had plenty to choose from. She also had the most gorgeous neutral colored Heath ceramic plates. The dinner plates featured a lovely floral etching that added depth to the setting. 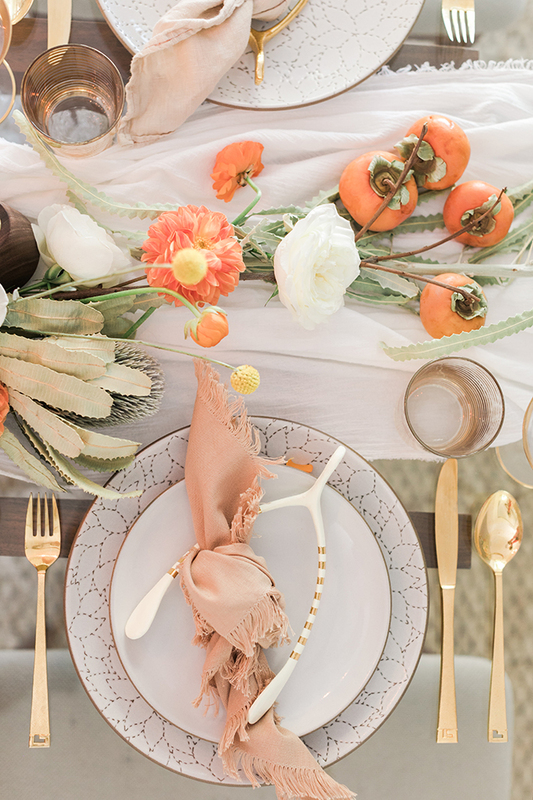 We fell in love with the salmon napkins from The Little Market, and brought in similar warmer tones in the taper candles and florals on the table. One of the many standout features of Claire’s home is the gorgeous wood everywhere, and we wanted to tie that into our palette. 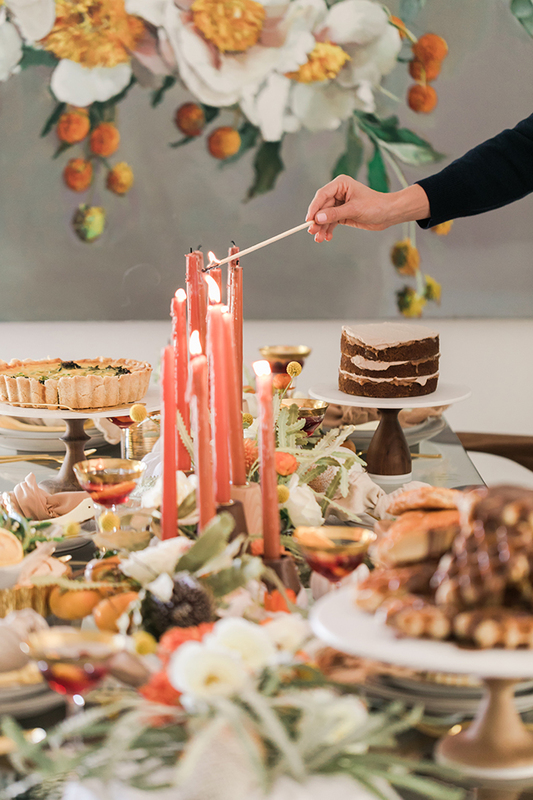 We were able to use a dozen multi-tone wood candle holders from American Heirloom with matching cake plates to showcase the food. Last but not least, in true brunch fashion, we kept things playful and pulled out some super cute Thanksgiving Crackers that, when popped, produced little red paper hats! 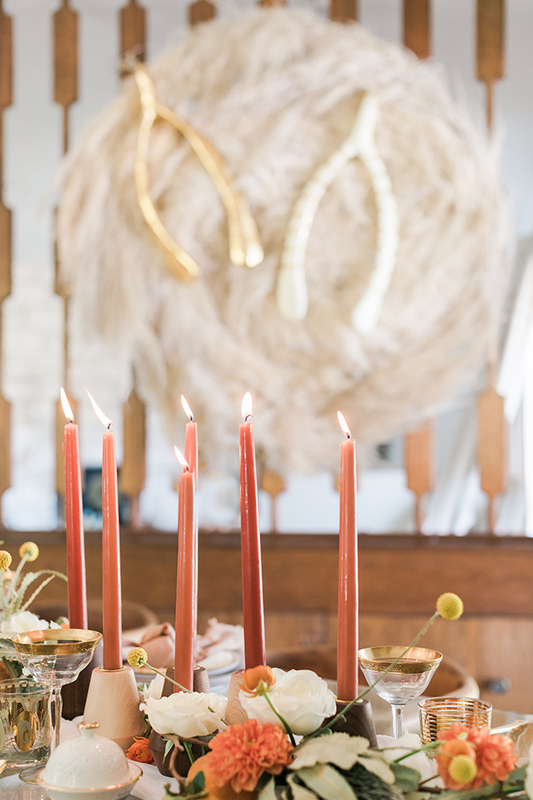 To say that we enjoyed the décor, food and each other’s company would be an understatement! 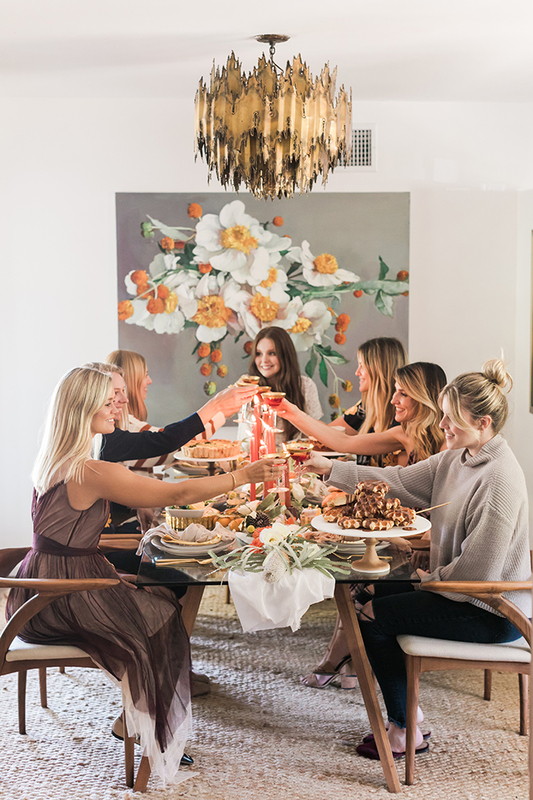 Be sure to stay tuned, because we’ll be sharing all the delicious food and beverage recipes from our Friendsgiving brunch all month long on LaurenConrad.com. 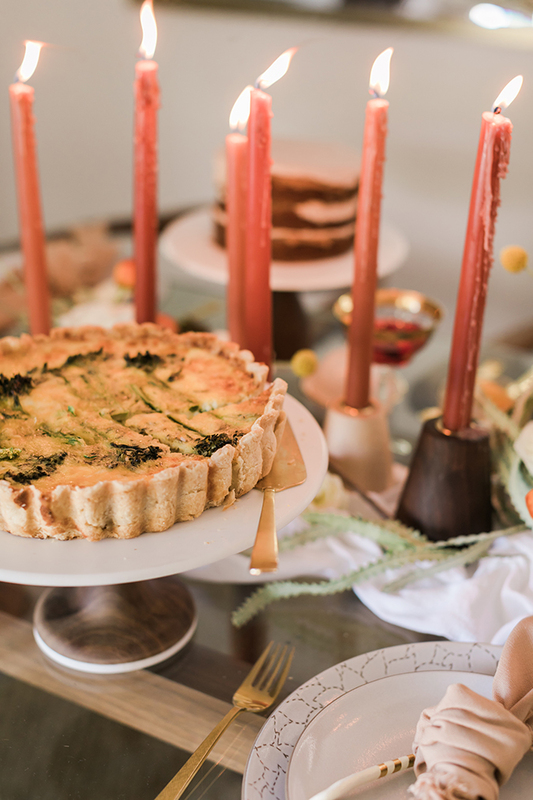 Are you planning on hosting a Friendsgiving this year? Let us know your party plans in the comments below!